240 Volt 10Amp Recessed Switched Triple Socket set. Horizontal Mounting. Set comprises of Mo..
240 Volt 10 Amp Recessed Double Socket set. 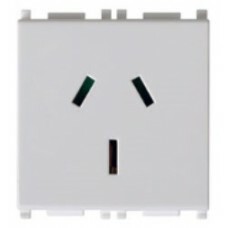 Set comprises of Mounting Frame, Polar White Surroun..
240 Volt 10 Amp Recessed Double Socket set. Vertical or Horizontal Mounting. Set comprises o..
240 Volt 10 Amp Recessed Socket set. Set comprises of Mounting Frame, Polar White Surround and So..
240V Socket 15 Amp Polar White. 2M Size Features shuttered Pins ..
240 Volt 10 Amp Recessed Switched Double Socket set with 5V 2A USB Charger Horizontal Mounting. ..
240 Volt 10 Amp Recessed Double Socket set. Vertical or Horizontal Mounting. Set comprises of..
240 Volt 10 Amp Recessed Double Socket set. Vertical or Horizontal Mounting. Set comprises..
Socket CAT5e KS RJ 45 8/8 KS keystone fixing standard. CAT5e RJ45 8/8 In accordance with IE..
POWER SUPPLY UNIT USB 5V 1A 2M - for charging of electronic devices via a standard USB port (also ..
POWER SUPPLY UNIT USB 5V 2.1A 1M - for charging of electronic devices via a standard USB port (al..